MANILA -- The Commission on Higher Education (CHED) on Tuesday said there is enough budget for the implementation of the free college tuition law, despite the significant cut in the agency’s proposed budget for 2019. “It is not true that there is no money for the implementation of RA 10931. The budget has been increased by 3.9 billion so we are confident that the law will be implemented as the commitment of President (Rodrigo) Duterte to free higher education is very solid, “ CHED Officer-in-Charge J. Prospero De Vera III said in a press briefing in Quezon City. De Vera added that the budget for free quality tertiary education has been increased from PHP40,000,919 in 2018 to PHP43,975,919 for 2019. Meanwhile, CHED’s proposed PHP83.02 billion budget was down to PHP50.44 billion, resulting in a decrease of fund for its Student Financial Allocation Program which includes regular grants and merit scholarships, the “Tulong Dunong” program, tuition subsidy for medical students in eights state universities and colleges, and subsidy for children of sugarcane workers and rebel returnees. De Vera explained that there will be no or less impact on students enrolled in public colleges and universities with regard to budget cut because their tuition and miscellaneous fees are free. “The ones who will be affected are those in the Tulong Dunong program which supports scholars enrolled in private institutions, they will no longer have assistance from the government to offset their tuition and miscellaneous,” he said. To date, there are 359,000 “Tulong Dunong” scholars who have benefited from the program even before the implementation of Republic Act 10931 or the Universal Access to Quality Tertiary Education. 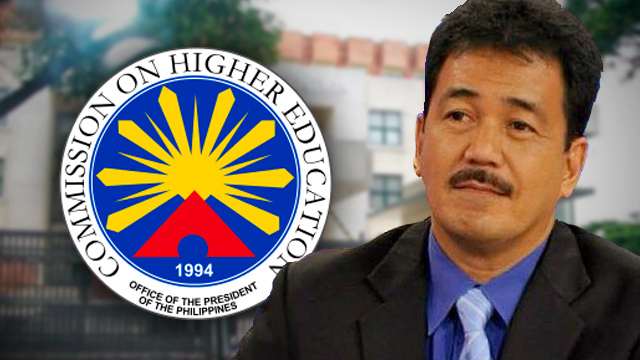 De Vera added that there are 1,200 students taking up medical programs in eight state universities and colleges and universities nationwide and children of rebel returnees who would be affected by the budget cut. "Last year, no allocation was made for the medical, students also this year, and we will have to ask because there are certain bills which can be realigned to provide for this and we hope those bills will become laws. For the children of rebel returnees, we will need to find ways to fund that because when the president goes around he promised to the rebel returnees he assured the future education of their children," he said. De Vera said they will continue to look for strategies to raise funds, citing the commission’s thrust in helping all their current scholars.